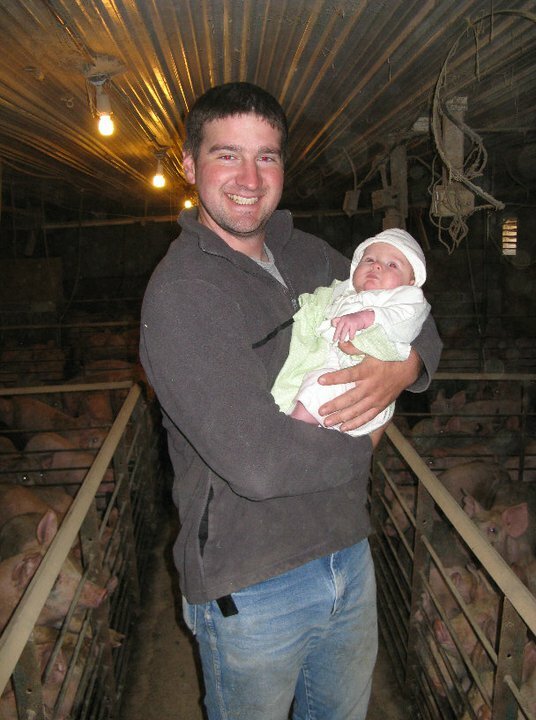 A proud Big D holds his baby girl in one of our piggie barns for the first time. 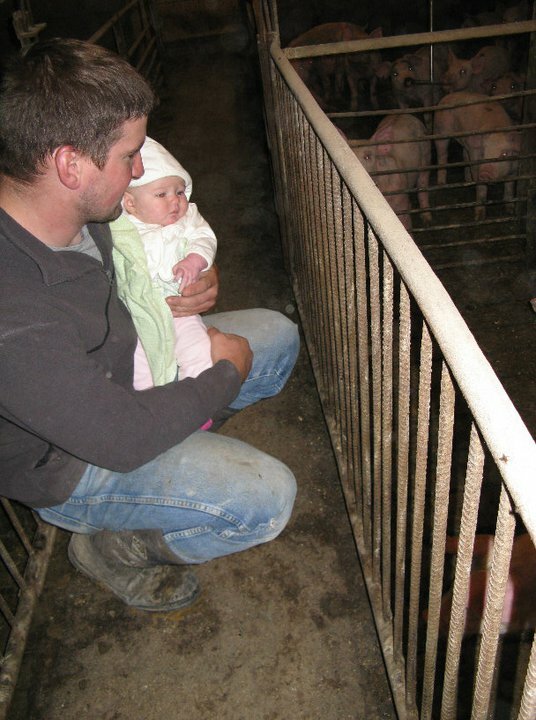 Reagan was pretty intrigued by the sounds and smells of all of the piggies she met! Love it! 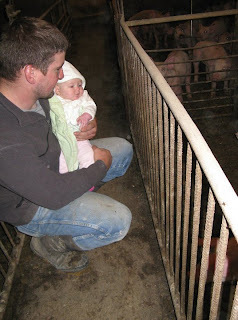 Is he telling her that in the future she'll be moving those little piggies! Super cute! She is ADORABLE! So great to see her out in the barn as I'm sure in the coming years she will spend many hours out there. If she is anything like the rest of us I'm sure she'd prefer to be out there as opposed to anywhere else. Awe... she is going to love "This little piggy went..." Really love her name! Too cute!